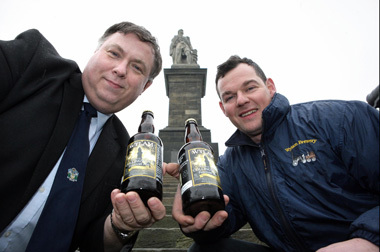 Tyne valley based Wylam Breweries willingly joined forces with the Collingwood 2010 Festival in celebrating the life of our North East’s hero. They produced a special ‘Official Festival Ale’ which, because of its immediate and widespread popularity, went straight into the portfolio from this award-winning real ale company. 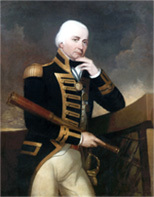 Captain Stephen Healy, Chairman of the Collingwood 2010 Festival Committee, was equally pleased to have Wylam Brewery ‘on board’ and noted that this was the latest of a series of ‘local causes’ that the brewery had supported. The 4.1% ABV Festival pale ale is described as “honey-soaked in colour with a sweet tangerine aroma from the finishing hop, light and soft bodied with a citrus zest/fresh pinewood flavour and an appetisingly dry and bitter finish”. It is available on draught and in bottles and may be found at real-ale pubs, selected restaurants and retail outlets around the region. 2015 Editor’s adjustment: Please note that this product is now marketed as ‘Collingwood Pale Ale’. 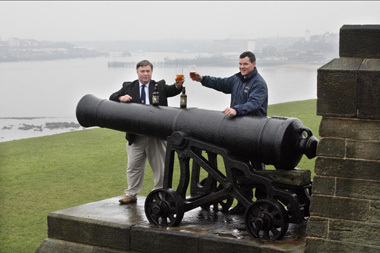 Captain Stephen Healy, Chairman of the Collingwood 2010 Festival Committee (left) and Matt Boyle, of Wylam Breweries, toast the launch of the new ale at the Collingwood Monument, Tynemouth, on a rainy day in February 2010.